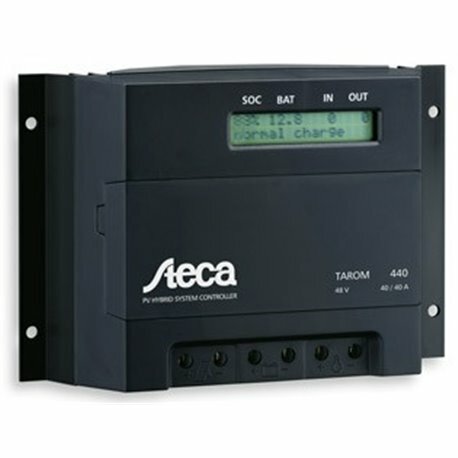 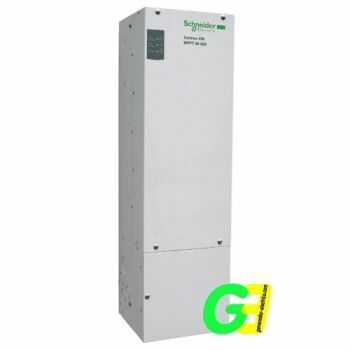 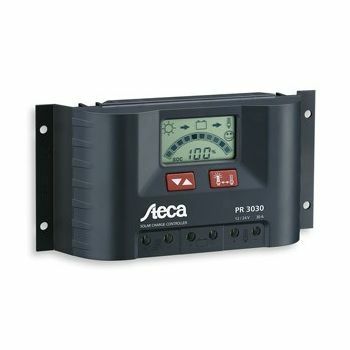 The Steca Tarom 440 is a 40A 48V solar charge controller specifically designed for use in 48V telecommunications applications or in hybrid photovoltaic systems. 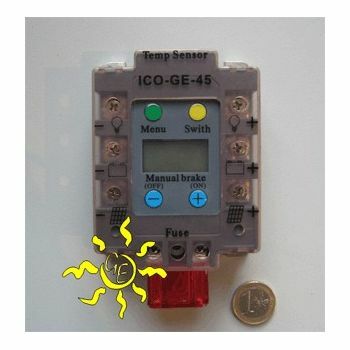 Numerous clever functions allow the user to adjust the controller to the particular features of the system in question. 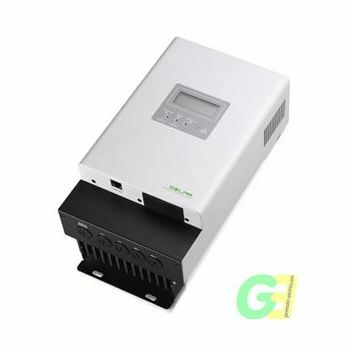 Thanks to the significantly improved state of charge determination, the system is optimally controlled and batteries are protected. 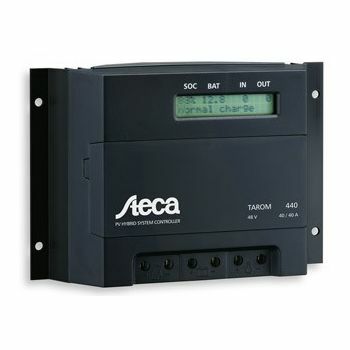 There is the option of connecting additional devices such as a temperature sensor, a data logger and a remote control for configuring and monitoring the system. An integrated Ah meter also provides the user with information on the energy budget of the application.